If you need to get across a lot of information but want to keep things to a budget, saddle stitched booklets are for you. 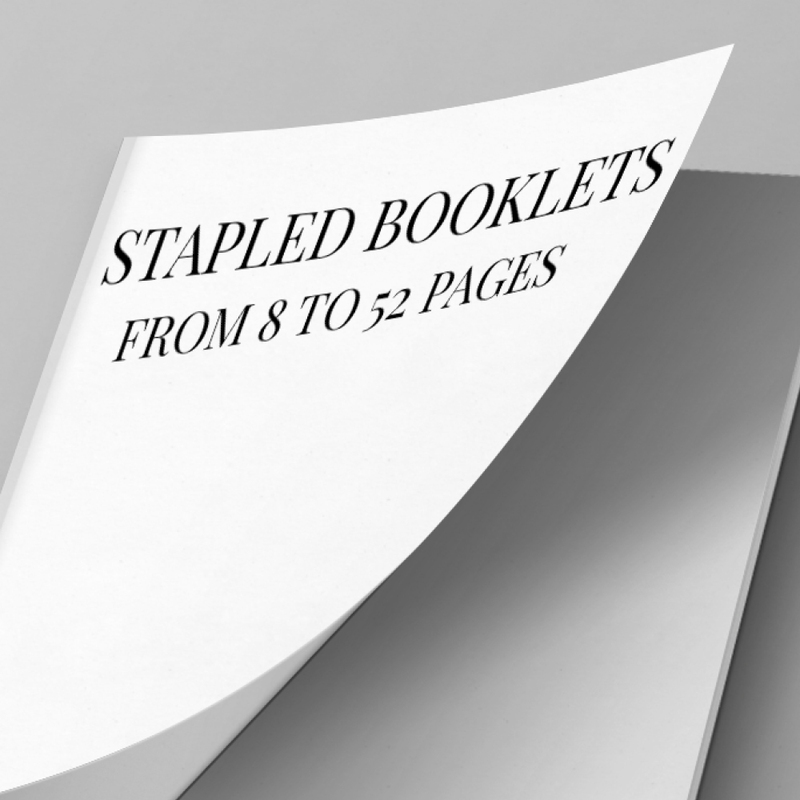 These booklets hold 8 to 52 printed pages and can be done portrait or landscape in a range of sizes and proportions. They include a cover which can be thicker than the inner pages, or it can be self-covered, meaning that it is on the same stock as inner pages. All lamination types are available on silk coated covers. We use a combination or digital and litho methods to allow us to give you the best price we can. As a general rule of thumb, print runs of 500 and below are printed digitally while runs above 500 will be printed litho but this cannot be guaranteed. • Available in: 150gsm silk self-cover or 250gsm silk cover. Our uncoated stock offers 120gsm uncoated throughout. • Delivery: Included in price. IMPORTANT NOTE! Please submit your artwork as a multi-page pdf with 3mm bleed and 3mm safe zone on each page. We will not accept spreads or separate files for individual pages. Our pre-press system will collate and account for creep for you. © 2018 Clout Creative Ltd. All Rights Reserved.